Established in 1985, our Sleep Disorders Center provides full diagnosis and treatment programs for adults and children. Fully-accredited by the American Academy of Sleep Medicine, our services are supported by board certified sleep specialists. Our caring, experienced technical staff includes two accredited clinical polysomnographers equipped with the most advanced diagnostic and therapeutic equipment. The first step in our sleep evaluation program involves completion of a comprehensive questionnaire followed by a consultation with a sleep specialist who looks into your current sleep habits. 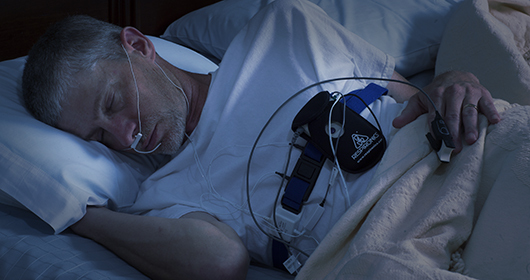 If further testing is necessary, patients spend the night in our comfortable, home-like rooms where specially trained sleep technicians gather data while you sleep. After testing, our staff recommends an appropriate course of treatment. Southeast Health treats sleep disorders such as insomnia, snoring, sleep apnea, narcolepsy, restless leg syndrome and sleepwalking. Although many of the patients evaluated in the Sleep Center are referred by their doctor, anyone who believes they have a disorder may contact the facility directly. Most insurance companies provide coverage for evaluation and treatment of sleep disorders. We’ll be happy to assist with insurance verification or patients can contact their insurance company for details on their policy’s specific conditions. For more information, please call 334-793-8132 or 1-800-248-2771.